iOS6, the latest operating system from Apple, has made its presence felt when it got unveiled at the WWDC 2012 in San Francisco. It has loads of impressive features which are best suited for business professionals. Productivity, application management, communication management, security, speed, ease of access, navigation etc. are few features which can help this operating system to get nominated for “Best OS for business” this year. Read further to understand some of its fabulous features for business and map your requirements better. Designate VIPs – some specific persons are more important for your business and you can’t afford to miss their messages and emails. There is a saviour for you, VIP Mail feature. All you have to do is set a VIP list of such contacts like all your most important clients, vendors etc. 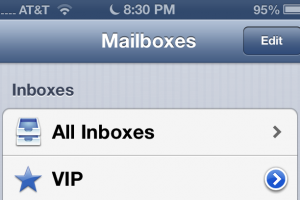 iOS6 will filter all messages and move all mails from these contacts to a VIP mail folder. Enjoy this automatic filtration and save your precious time and money. Notifications – you can always set your phone to send notification whenever you receive any message from a high-profile contact. Note that this list is iCloud (explained later) enabled so you can access your list anywhere, anytime and by any iDevice with single login. Now without going to photo app, you can directly attach photos or videos to an e-mail from within a new message. Single swipe down will refresh the mailbox saving your time hence money. Easy access to Drafts – It is normal to forget some important communication which we saved as draft. But it is not acceptable when we talk business. Here comes Apple for your rescue, iOS6 provides a shortcut showing all your drafts from all your accounts. You need to tap and hold the new mail button, to see all those draft messages, and to send those without a delay. Customize notifications – It is important to differentiate between personal and business communication. Now it is possible to trigger and customize different types of notifications for different email accounts. How about changing the notification sound for a message from your wife and a different one for your maximum revenue linked client? Ability to use “Different email signatures” is one more nice addition in iOS6 for different outgoing emails. “It’s only words and words is all I have” well we all understand the importance of verbal or voice communication in both personal and business life. Your words can crack a deal or simply slack a deal. 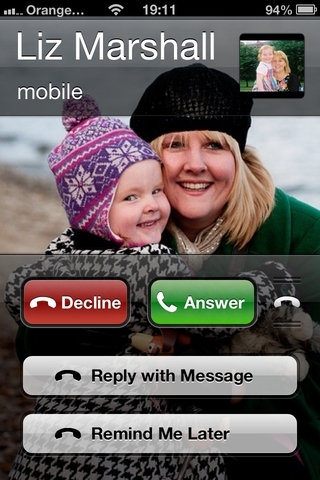 Politely reject a call – Yes rejection can be polite. New iOS6 allows you to send a pre-set message to your caller explaining him the reason, when you are not able to take a call. Reminder for call back – You don’t want to miss the new business opportunity just because you were in a meeting and could not make a call. You can set a call back reminder which will help you to give that contact a call back. Now you will see “Reply with message” and “Remind me later” buttons along with “Decline” and “Answer” buttons. Location based reminder – You can make a setting to get a reminder only when you are on your way say, back to home from work. Do not disturb – You have a meeting with a potential business provider and at the same time very important client calls you. How will you save yourself? Of course, if you switch your phone, you will displease your existing client and if your phone rings because of some not so important person is calling you, then it may weaken the new opportunity. In such situations “Do Not Disturb” or DND feature will help you by restraining all incoming calls as well as notifications except those marked important/favourites by you (“Allow calls from”). You can activate it manually by setting the specific time. DND feature is a blessing when you want some “only you” time to rejuvenate from a hectic day at work. Emergency situation – In case you have opted for “calls from no one” and your wife calls you (due to some emergency) twice within three minutes, then that call will be marked as urgent, and you will receive that call immediately. 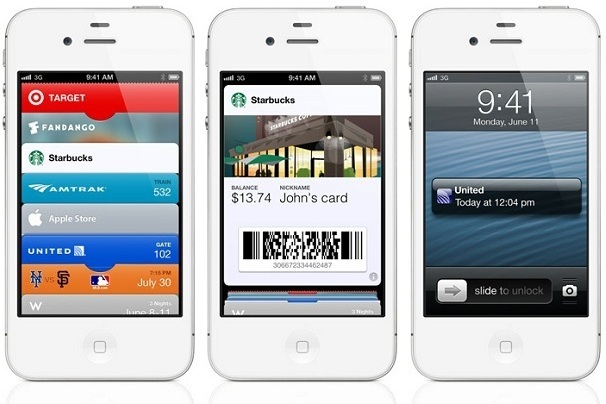 Passbook built in app can store boarding pass for you on your device, hence no need to carry around it in your wallet. It pops up your boarding pass on your device screen as soon as you reach airport, thanks to location aware software. It updates your boarding pass in real time and alert you in case of any gate change information. It helps in check-in for a flight by scanning your device. Traffic help – explained in another section of new Map application. Passbook stores retail coupons for you to shop. Shopkeepers will scan those and that is something which saves that extra weight you must be carrying, if not using iOS6. 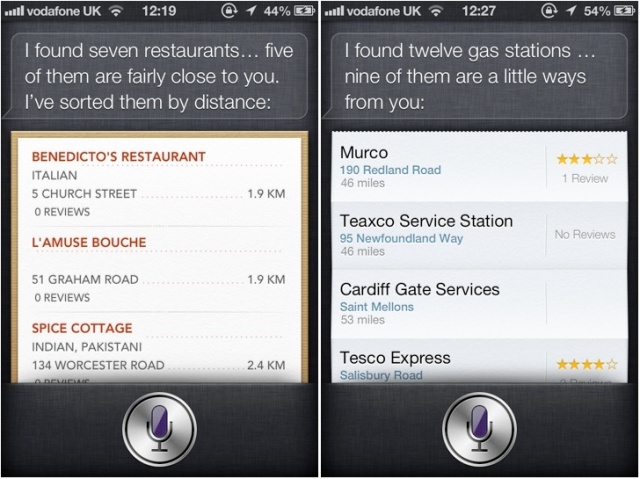 It can locate a shop or restaurant for you. Loyalty card would pop up on your screen as soon as you enter a shop. Passbook will help you to store barcodes of the products, which you have purchased or owned a discount. It stores movie tickets and coupons for you, box offices will simply scan those for the entry and you can enjoy the block busters with popcorns, without worrying about paper tickets and coupons. Though it is not NFC-enabled and still bit different from Google Wallet, it is still making a mark and moving closer to integration of mobile devices with retail space. Please note that only those merchants who are part of the new Apple’s program will accept these tickets, coupons etc. stored on your device, so it may take a while before Passbook spreads its wings for all. Some Passbook compatible apps in US include Fandango Movie – Times & Tickets, Live Nation, Ticketmaster, MLB.com At Bat, Sephora to Go and Walgreens. 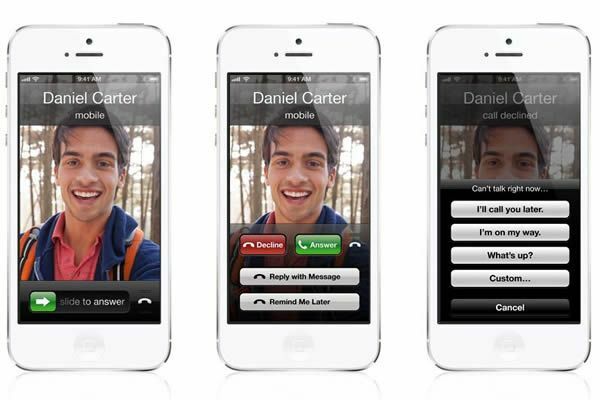 FaceTime – With iOS6 now it is possible to make and receive FaceTime calls from any location. This is enabled over cellular as well as Wi-Fi networks. Simply use your Apple ID and phone number and you can link to your colleague having Mac or iPad with internet. Updated Siri – Now reserve your table at a restaurant, launch applications, get latest sports news, watch movie trailers, update your FB status, and tweet. You need more? Now link Twitter names to your contact list & iOS6 will help you in translation when you type any contact name in the tweet. It is great time-saver when you’re engaging contacts on social media. Real-time traffic update – You need to reach airport to receive someone important or to catch a flight for your business trip or you need to reach somewhere for your most important meeting. You can’t be late, you can use real-time traffic update feature of iOS6 to get information about trouble areas (with reason), alternative route, estimated time of arrival (ETA) and that too with turn by turn navigation. New Maps – Provides turn-by-turn navigation which works well when walking or driving. A partnership with Yelp allows you to look for nearby points of interest. You can locate nearby restaurant and with one more tap you can call them – very useful if you are in an unfamiliar area. Note that though Fly-over view is amazing but the detailing is missing from new maps. You have to wait for some more time to get real benefits from this feature. Offline reading & fast browsing – can save a webpage to your reading list and read offline. Your tabs of online search will be saved on iCloud (explained further) to be used again later. iCloud Support – Life is easy as now you don’t store your data on your device. For you, it is stored somewhere else which you can access anytime and anywhere and that too from any iOS6 enabled device. All you need is the single log in account.Another remarkable thing to notice is in case you lose your phone just put it in lost mode using iCloud. This will lock it using a four-digit passcode and display a contact phone number. Check the Find My iPhone app to see its location on a map. iCloud can also protect your phone in case of theft. Facebook integration – Using FB for business? This feature is a great help for you. Get more shortcuts to post content, share your location from Maps, update your calendar with FB events. Contacts will be updates with FB profiles data. List could go on and on but I wanted to share important ones here. Move ahead, weigh your requirements and business needs and see if it is worth taking a plunge. For me it was indeed!